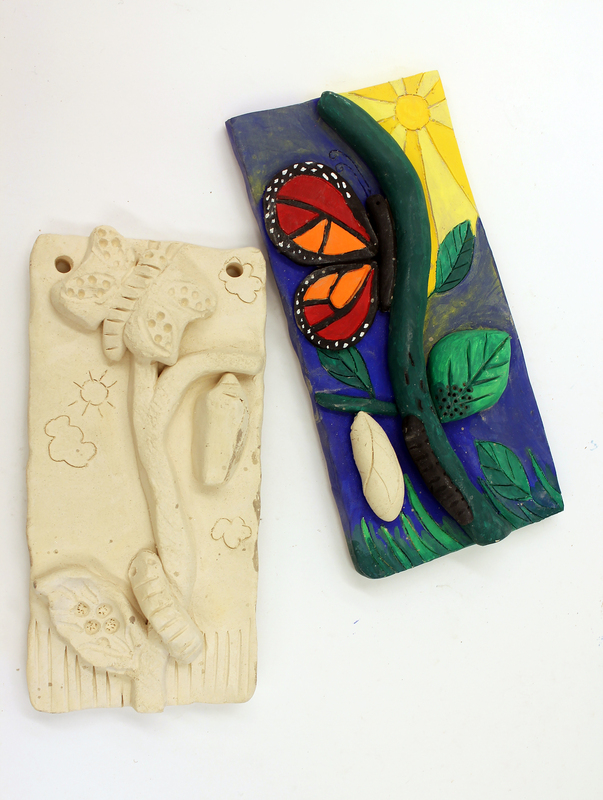 Using coils and pressed shapes on a long slab of clay, students show the stages of development from caterpillar, to cocoon, to butterfly. How might we best describe metamorphosis? By creating a beautiful piece of art showing all of the stages, that’s how! Students examine an actual butterfly and view photographs of a variety of species, including their metamorphosis, before being led step by step through the process of how to build all these different stages into one long rectangular slab of clay. Students will cut, roll coils and create all of the different shapes required to complete this perfect addition to any garden.